Orlando Visitor: Great View from Inside Disney's Contemporary Resort. WDW Florida. Great View from Inside Disney's Contemporary Resort. WDW Florida. What's this? 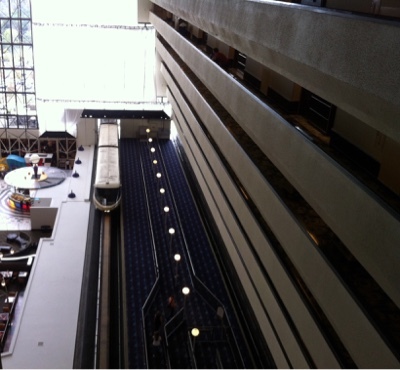 It's the WDW Monorail running through Disney's Contemporary Resort Hotel! Labels: Contemporary Resort Hotel. Walt Disney World. WDW Resort Monorail.